Serge Carrefax spends his childhood at Versoie House, where his father teaches deaf children to speak when he's not experimenting with wireless telegraphy. Sophie, Serge's sister and only connection to the world at large, takes outrageous liberties with Serge's young body-which may explain the unusual sexual predilections that haunt him for the rest of his life. After recuperating from a mysterious illness at a Bohemian spa, Serge serves in World War I as a radio operator. C culminates in a bizarre scene in an Egyptian catacomb where all Serge's paths and relationships at last converge. 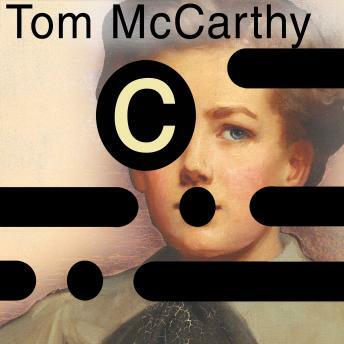 Tom McCarthy's mesmerizing, often hilarious accomplishment effortlessly blends the generational breadth of Ian McEwan with the postmodern wit of Thomas Pynchon and marks a writer rapidly becoming one of the most significant and original voices of his generation.